Sometimes one of the biggest challenges of running a small business is picking the right equipment for your office. You want reliable equipment like an office printer that won't let you down during peak business periods. Office printers are still an essential tool for producing documents and media. There's a number of key factors to consider before buying printers for small business offices. Is the printer compatible with other software and devices in your office? Can the model's print speed keep up with your office's daily demands? Does your office only require mono printing or do you need colour prints too? Do you require photo-quality prints for the documents you're producing? Does the printer have wireless networking capabilities for cloud apps and mobile devices? What's the estimated running cost based on cartridge yield? Questions like these will help narrow down your selection of printers for small business operations. If you're still not sure where to begin, we've done some of the hard work for you. 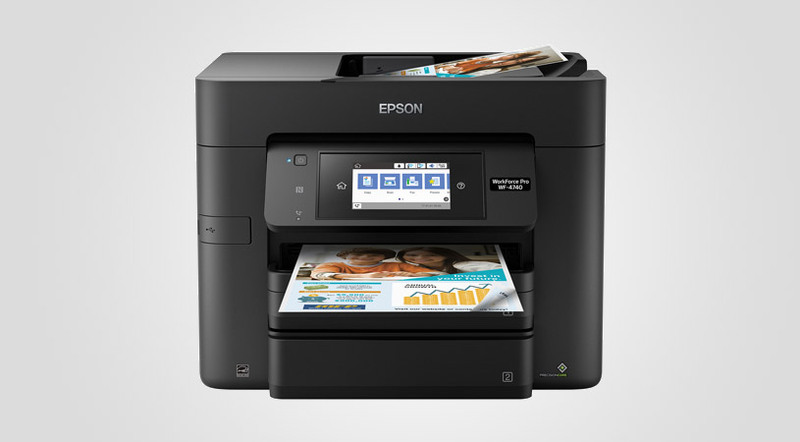 Check out our top five list of printers for small business offices. Ask a Copysonic printer expert for expert advice on the best printers for small business operations. The Epson WorkForce Pro WF-4740 is designed for heavy-duty performance on a daily basis. With a wide range of connectivity options, your small business will find it easy to print documents via any PC and mobile device. Its compact size makes it perfect for storing on top of large desktops without taking up too much space in your office. Your team will also find it a breeze to operate thanks to its 11cm colour touchscreen display. With a print speed of 24ppm (prints per minute), the Pro WF-4740 can produce a high volume of prints in a relatively short amount of time. 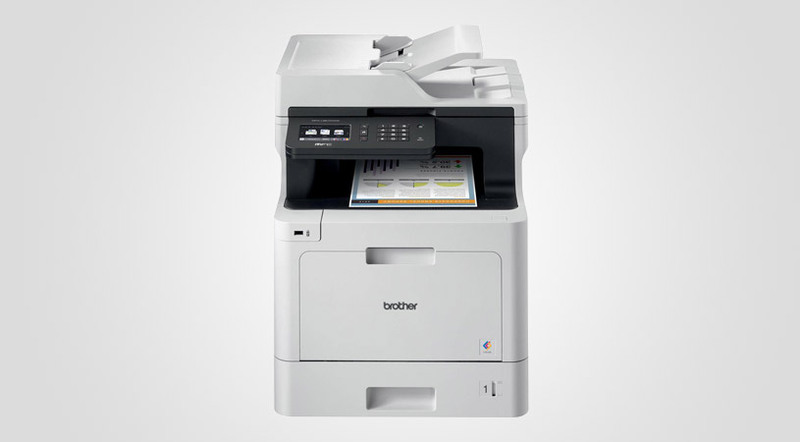 The Brother MFC-L8690CDW is a robust multifunction device designed with speed and volume in mind. The MFC holds a generous 300 sheets of paper in both its in-trays with room to install a paper drawer that holds an additional 250 sheets of plain paper. Its generous size leaves plenty of room for toner cartridges that can produce 3,000 mono prints or it can take on a cartridge upgrade that produces double that figure. In terms of speed, the MFC can produce 31 mono or colour prints per minute. The MFC's scanner can capture images at an incredible resolution of 1,200 x 600dpi that's higher than most multifunction printers for small businesses. 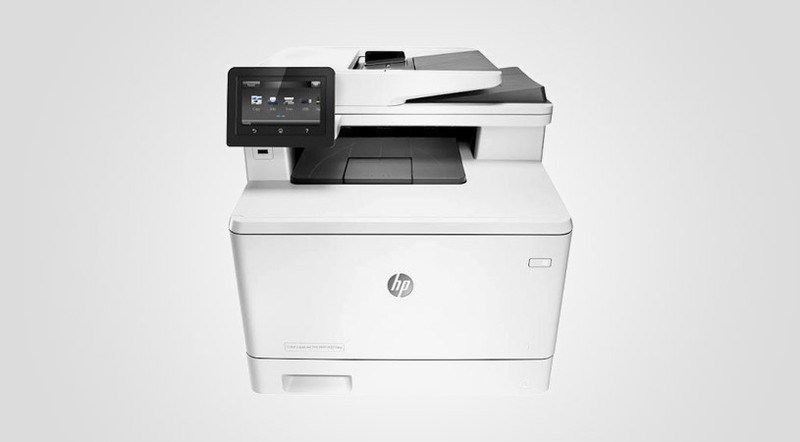 This HP model is one of those printers for small business operations that strikes the perfect balance between efficiency and usability. Access its time-saving apps via a 7.6cm touchscreen to scan documents directly to email and the cloud. You'll also find it easy to print Microsoft® documents from your USB drive. The Pro MFP is compatible with any NFC-enabled mobile devices. So it's easy to send and print documents directly from tablets and smartphones in your office. The HP 201A Laserjet cartidges that come pre-installed with this model can yield between 1400-1500 prints. If you're still not happy with this impressive number, you can install HP 201X Laserjet cartrdges that range from 2300-2800 prints. The Xpress M2835DW offers exceptional image quality and seamless connectivity options that make it a breeze to operate. 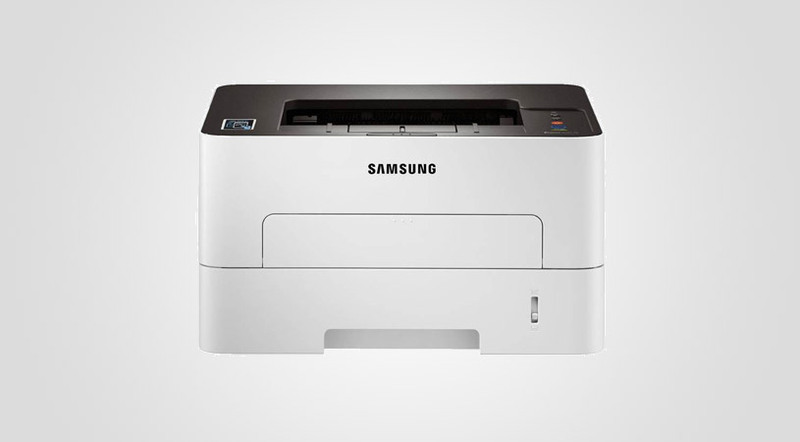 Compatible with the Samsung mobile print app, your staff will find it easy to print documents from their mobile devices. Your office will enjoy print speeds of up to 28 pages per minute for A4 pages. With ReCP technology, the Xpress M2835DW can improve the readability of documents by enhancing thin lines and sharpening edges of negative text. If you're looking to save on printing expenses, simply press the one-touch eco button. This button automatically activates 2-up and duplex printing that significantly reduce the amount of paper used. This compact yet powerful model from Ricoh delivers exceptional image quality at high speeds. Ricoh's GELJET technology produces stunning imagery with an insoluble viscous ink that won't smear. 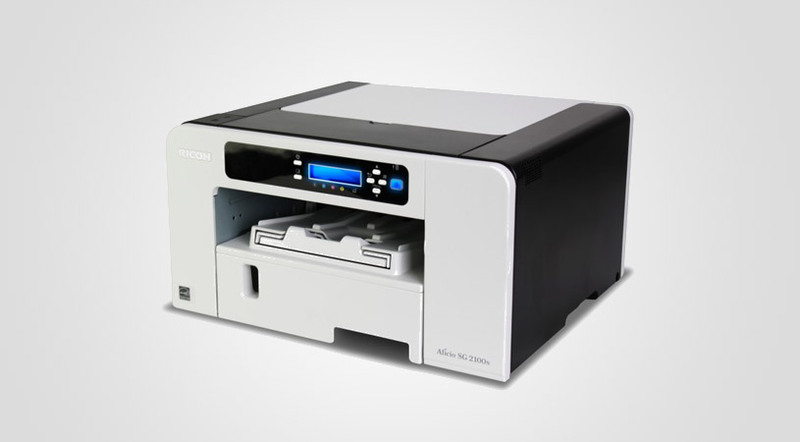 The SG 2100N can also produce documents at a respectable 29 prints per minute. The GELJET system incorporates electrostatic transfer belt technology to stabilise printing and prevent paper misfeeds. So you won't have to worry about paper jams delaying your print jobs. The ECOnomy colour mode is very effective at reducing printing costs by reducing the amount of ink used. Enable this feature, and your Ricoh printer will distinguish between text and images. Text is printed with a standard density while reducing ink usage for imagery. ‍Discover some of the best printers available for small business offices. Talk to a Copysonic printer expert now.